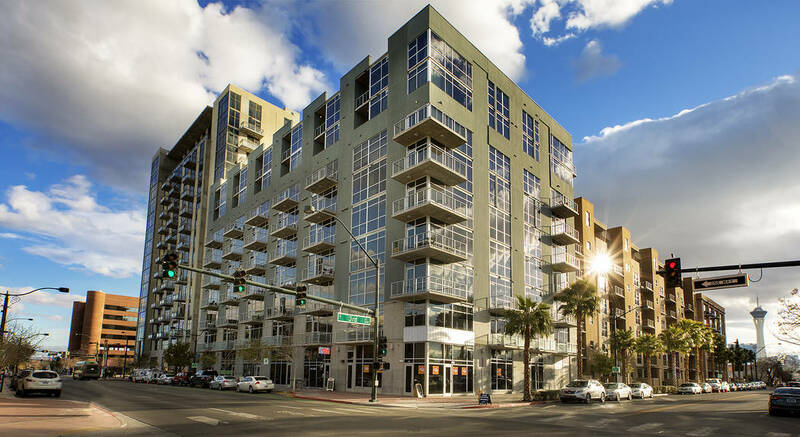 In the past few months, the DK Las Vegas portfolio of condominiums, which includes The Ogden and Juhl in downtown Las Vegas and One Las Vegas on South Las Vegas Boulevard, has experienced unprecedented sales activity. Combined, 23 sales valued at more than $9 million were closed in May; 27 sales valued at nearly $10 million were closed in June; and July, which is historically the slowest sales month of the year, set a record with 30 condo sales, including a record-breaking 15 sales at Juhl, alone. At One Las Vegas, a 2,854-square-foot penthouse recently sold for $1,161,900, the equivalent of $407 per square foot. The sale, made to a California resident, is the most expensive residence sold to date in the entire portfolio since DK Las Vegas acquired it in 2013. At The Ogden, a 2,044-square-foot condominium recently sold for $699,900, which equates to approximately $342 per square foot. The floor plan, The Goodman, is one of several that comprise The Ogden’s Premier Collection, an elite collection of highly upgraded residences that, according to Vaknin, are selling faster than the property’s smaller, less expensive homes. In fact, the majority of residences sold throughout the entire portfolio are among the largest and most luxurious of the available condos, evidence of a national and local trend that today’s buyers are seeking higher-end homes. Just last week, two condos sold at The Ogden, both priced at more than $700,000 with a third, priced at approximately $689,000, scheduled to close next week. “Our more luxurious condos are practically flying off the shelf,” said Uri Vaknin, a partner at KRE Capital LLC, which acquired in 2013 a portfolio of more than 1,300 condominiums in partnership with Dune Real Estate Partners as DK Las Vegas. According to Home Builders’ Research, condos and town home sales in Southern Nevada accounted for 11 percent of builders’ sales last month, up from 3 percent during the same month last year. “The pace of luxury condo sales speaks volumes about a growing trend for both millennials and empty nesters to right-size their lifestyles and reduce their footprint, while still maintaining or upgrading to a level of luxury,” Vaknin said. According to Vaknin, the factors driving luxury sales are many. As a result of strong interest in the larger, more luxurious condos, Vaknin is making significant upgrades to several residences at One Las Vegas and The Ogden. Recently, several highly upgraded condos sold immediately upon completion of their makeovers at both communities. So Vaknin and his team are responding with a purposeful focus on upgrading select homes with more luxurious finishes and detail. “Providing attainable mortgage financing for our communities is yet another plus for those seeking to own their home,” Vaknin said. The Ogden offers a myriad of options, including Federal Housing Administration, Fannie Mae and Veterans Affairs programs. In fact, The Ogden, and now One Las Vegas, are the only condominium towers in Las Vegas since 2008 to obtain Fannie Mae PERS (Project Eligibility Review Service) project approval, offering financing options not generally available in other condominium communities. This means qualified buyers can purchase with as little as 3 percent down for first-time buyers, 5 percent for primary homes and 10 percent down for secondary homes.